It started off as something of a juvenile diversion. Tipped off by a reader as to the bizarre nature of Boyfriend Maker's chat mode, my 'investigation'  if that's a suitable word  consisted of tapping in puerile rubbish to see what the game's subject would deliver in response. True to form, Boyfriend Maker played ball. The majority of its replies were as bizarre as they were amusing, making it easy to understand why a Tumblr blog capturing such hilarity had already taken off. The more alarming aspect, however, was that, as my interest in poking Boyfriend Maker subsided, it became clear that even entirely innocent, almost dull questions could result in the game's chat bot delivering arguably extreme, explicit replies. Let's be clear: I'm no prude, and I'm more than aware that the responses delivered by my 'boyfriend'  the most disturbing reply seemingly making reference to sexually abusing underage and unconscious subjects - have no basis in reality. As has later become clear, such a reply has no actual connection to the game's developer, 36 You, either. Instead, Boyfriend Maker's responses are formulated by a third-party chat engine from SimSimi that lets players contribute possible replies that, when the right trigger words are used, are pushed out to other users. As I suggested at the time, it's a system that's open to abuse, and it's of little surprise that SimSimi's chat app itself often engages in bizarre and what some would consider offensive chat. The difference between the two apps is, SimSimi is a chat bot that comes with an age rating of 17+ that allows players to block and report explicit replies.. In comparison, Boyfriend Maker is a sickly sweet virtual dating app clearly pitched at young girls and sporting and age rating of just 4+. So, though the game has now been pulled, whose job should it have been to ensure the game, in its current state, never hit the App Store? Firstly, though 36 You has remained silent on the issue, I think it's obvious that the developer didn't intend for its free dating sim to come loaded with such 'extreme' content. Indeed, the chat aspect of Boyfriend Maker was only added via an update in August, and it seems likely the developer simply strapped on SimSimi's chat engine without entirely realising the adult nature of the responses it could potentially deliver. If true, it's a daft oversight at worst. 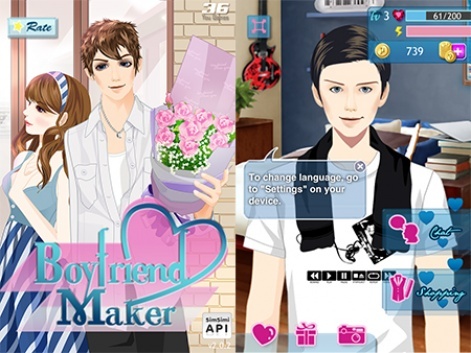 There's no reason that, with its chat mode either stripped or refined, Boyfriend Maker couldn't make a return to the App Store. Nonetheless, if 36 You didn't spot the apparent unsuitability of Boyfriend Maker for a young audience, should Apple have caught it? The ultimate responsibility of all the apps available on the App Store lies with Apple, though I have no idea how even a company with the scale the Cupertino giant boasts can sufficiently moderate all the releases in its collection. 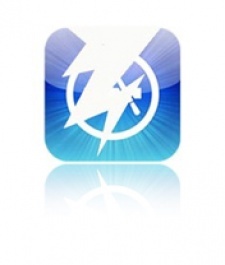 Lets not forget  this wasn't even a new app. This was an update to an existing title that, if my play test is anything to go by, may not have shown its true colours for a good hour or so. Indeed, such is the random nature of Boyfriend Maker's chat mode, that it's possible even several hours of testing by Apple wouldn't have highlighted the game's issues. What's more, this is an issue without an obvious resolution. The longer iOS remains top dog (as far as developers are concerned), the more and more apps flood into its ecosystem and the complexity of those apps, and their ability to hide any 'issues', only increases. This is, however, one of the side effects of the 'digital revolution'. If Boyfriend Maker had launched as a console game on a physical disk sold at retail, there are feasibly many more nets it would have had to slip through in order to make it to market. Chances are, a publisher would have been involved, who  if competent  would have tested the chat mode thoroughly before attaching its name to it. Then, there's the retailer. Or, rather, several retailers, who each would have provided another opportunity to catch the game out pre-release. That's all before you consider the fact that there are far less games making their way to retail each week than there are apps launching on Apple's platform, making the likes of Boyfriend Maker's chat mode far easier to spot. To be frank, the more you look at the situation as it stands, the more it appears like Apple is engaging in something of a fruitless task even attempting to moderate its marketplace in the first place. If we accept, therefore, that mistakes will happen and dodgy or explicit apps will occasionally sit proudly and initially untainted on the App Store, then we have to accept that consumers are now the new gatekeepers. The health of any app ecosystem  whether Apple's, Google's, Microsoft's or RIM's  will rely on the community it attracts being active, highlighting potential issues rather than rushing to complain. It'll also rely on people in my position  the bloggers, editors and journalists  taking a responsible attitude to the apps in question, reporting on the story that arises rather than looking to scandalise or trivialise the issue. All this, however, will also depend on those platform holders being a little more open. Providing more avenues for consumers to get in contact, and having a more fluid relationship with the press. Now, I know PocketGamer.biz isn't likely to be an Apple executive's first read on a Monday morning, but the picture painted by the Boyfriend Maker debacle would be a far clearer, far less muddy one if Apple had given its view, or talked the press through its response. A faceless gatekeeper breeds an unconnected, disloyal and unresponsive consumer base, and also helps foster a press eager to take the company down with whatever ammunition it can get hold of, and that kind of polarised atmosphere isn't good for anybody.